Ecuador news magazine – Quito, June 6, Andes – The specialized news journal, International Business Times, wrote an article focused on Ecuador’s economic growth and its strong mining industry discussing the conditions needed for its resources to develop. Published on June 5 with the title, “Ecuador Is Growing Faster Than Brazil — What Is Behind Its Booming Economy?” the article highlights the various achievements made on behalf of the Ecuadorian ambassador to the U.S., Nathalie Cely. The text compares Ecuador with Brazil’s growth, and affirms that Ecuador is improving its growth rates faster than the regional average and faster than the South American giant, Brazil. There’s a lot more to Latin America than Brazil. The fastest-growing region in the world — with 3.5 percent GDP growth projected this year, according to the International Monetary Fund, almost three times the rate of the rest of the world — has more than one economic success story up its sleeve. Ecuador, for one. 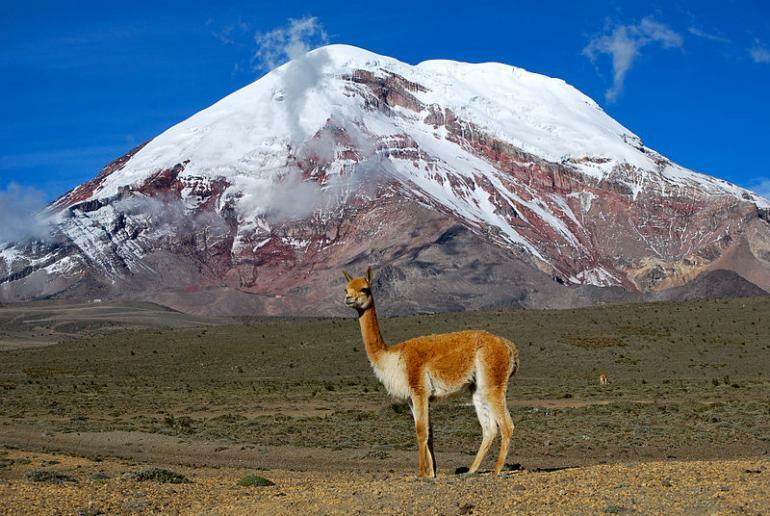 The small Andean country wedged between Peru and Colombia has never made much noise in international trade nor received a lot of attention from foreign investors. But recent studies show Ecuador has the potential to become a key player in the economics of the region. As much as Brazil’s recent successes have been celebrated, few would know that the South American giant is only the fourth-fastest-growing nation in the region, surpassed by Colombia, Peru and Ecuador. Ecuador’s growth rate since 2000 has been 5.5 percent, second only to Peru (7 percent), whereas Brazil scored a relatively modest 4 percent. Ecuador also excels at debt-to-GDP ratio, which is at 24 percent as shown by a study by the United Nations Economic Commission for Latin America and the Caribbean. By comparison, in the United States, the ratio is about 100 percent. “Ecuador is ready to compete on the global stage, and go back to financial markets,” said the Ecuadorian ambassador to the U.S., Nathalie Cely, during a recent presentation in New York. Cely cited the numbers to invite American investors to explore Ecuador. After a few years focusing on public investment, which took 12 percent of GDP, and improving the country’s national security, infrastructure, education and human development, Ecuador says it’s now ready to welcome foreign businesses — despite the fact that President Rafael Correa’s government is not known for its friendliness towards the United States. Cely noted that the best opportunities to invest in Ecuador lie in sectors like electricity, hydrocarbons and mining. The National Assembly is expected to pass the first round of new reforms to mining laws, which would bring the industry a much-needed boost. Even though Ecuador has reserves of gold worth $2 billion as of 2011, according to the World Bank, mining represents only 0.4 percent of the country’s GDP. The reforms come as a breath of fresh air following news late last year that Colombian gangs were using illegal mines in Ecuador to launder money from drug smuggling. Local newspaper El Comercio reported that the Ecuadorian Army intercepted several trucks with explosive material and mining tools in the mining town of San Lorenzo, close to the border with Colombia. Gustavo Iturralde, who headed at the time a government department charged with monitoring illegal fund transfers, said gang members would buy gold, extracted through artisanal methods by the locals, with money from trafficking. The gold would later be melted down and sent to the U.S. Think tank Insight Crime reported that this is not an isolated event, claiming that mining contributes to up to 30 percent of the funds of illegal groups such as the Revolutionary Armed Forces of Colombia, or FARC. The report quoted Correa as saying he would not let Ecuador’s security deteriorate to the point that extensive territories are controlled by illegal groups. Another issue that raises concerns about the mining industry is its environmental impact. Ecuador has been making an effort to reinforce their sustainability and make every enterprise in the country environmentally conscious. “We cannot afford another Chevron,” said Cely, referring to the controversial lawsuit between the U.S.-based oil giant Chevron (NYSE:CVX) and the Ecuadorian government that spanned three decades and still isn’t resolved. Between 1964 and 1990, Texaco — which merged with Chevron in 2001 — dumped more than 18 billion gallons of toxic wastewater while drilling in the Ecuadorian Amazon. The pollution caused local indigenous people to suffer a wave of stomach and mouth cancer, birth defects and spontaneous miscarriages. Besides having been found guilty by Ecuadorian courts, Chevron maintains its innocence and brought its own case against the prosecutors. The company was fined $19 billion by Ecuador in 2011 and has been fighting the verdict since. Cely said the Chevron case looms over every environmental decision made by Ecuadorian officials.